I just got back from the testing center, with a pass on ICND2. 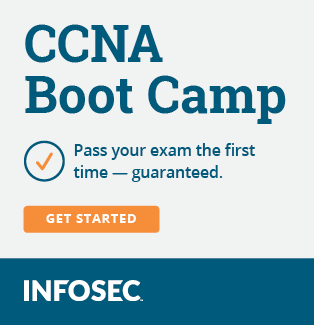 Officially a CCNA and it feels great. I have been chasing this certification off and on for the past few years. It's nice to finally achieve it. What materials were used to help you finally knock it out? I flagged the chapters in the book that pertain to ICND1 and ICND2. I also did all my labbing on packet tracer. I have real equipment, couple of 2500s, Ciena 311v switch, 2950, and two 2960g. Having said that I never once turned on my real gear as its a pain in the azz to keep setting it up and breaking it down. IMHO packet tracer works just fine. congrats! I passed mine yesterday, huge relief. good luck! Congrats... Did you use any practice exams? Thanks everyone. I am not sure what's next from here. I am definetly taking some time off before possibly going on to CCNP. I have a 4 year old and 3 year old at home and it was tough balancing home life with work and studying. Lets say that I ignored the family quite a bit in the 30 days it took me to get the CCNA. A mental/family break is much needed. This site is very motivating and I am glad to see everyone here pushing forward with their studies. Keep at it and you all will acheive success! Great community we have here.